After being diagnosed with Hodgkins Lymphoma at the age of 28, Amanda Hopwood-Brophy opted for fertility preservation and now is the proud mother of two-year-old Mairead. 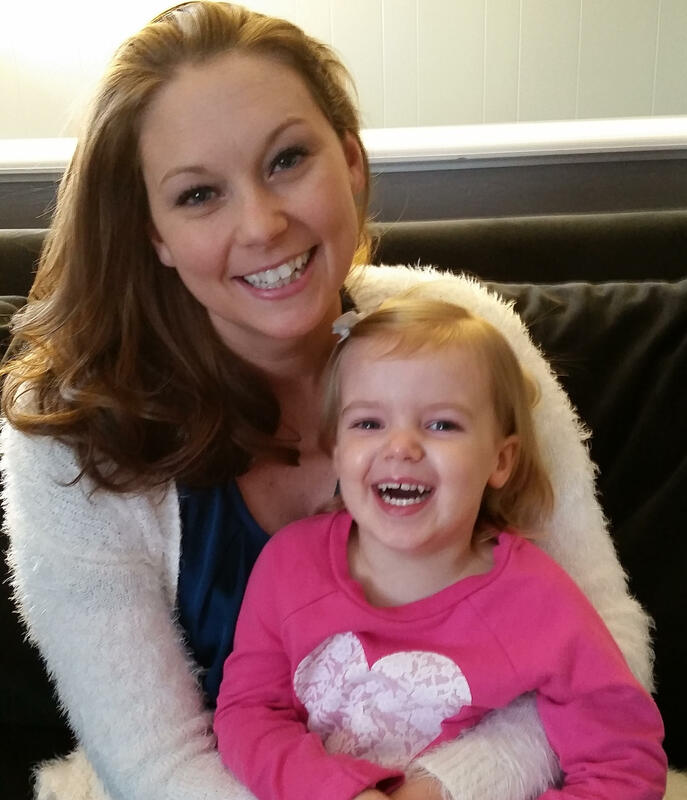 “I can’t imagine not having my daughter now,” said Amanda Hopwood-Brophy, who was diagnosed with Hodgkin’s Lymphoma at age 28. She underwent fertility preservation treatments along with a chemotherapy regimen until being declared cancer-free. She now has a two year old daughter. Allegheny Health Network (AHN) has launched a program to help more patients like Hopwood-Brophy have children even after undergoing cancer treatments. For cancer patients, chemotherapy can be life-saving. Unfortunately, these harsh drugs often damage more than cancerous growths—according to the American Cancer Society, they can temporarily or permanently harm men and women’s reproductive functions. Hopwood-Brophy’s doctor encouraged her to consider treatments to protect her ovaries during chemo, and she was able to become pregnant a year later. However, not all cancer patients are so fortunate. According to Dr. Bryan Hecht, Director of the Division of Reproductive Endocrinology and Infertility at Allegheny Health Network, many patients cannot afford fertility preservation treatments, which are not usually covered by insurance. Since cancer patients begin chemotherapy almost immediately after diagnosis, Hecht says they are left with little time to raise money for fertility preservation. “There’s a very special, unfortunate challenge for cancer patients because they need to go through this procedure very quickly and so trying to budget like others might is impossible,” Hecht said. AHN’s new program will cover all fertility preservation costs for eligible cancer patients who meet certain income restrictions. The program is currently funded entirely by AHN, but Hecht says donors will be necessary to maintain and grow the fund. Whether or not a person’s reproductive health will be harmed by chemotherapy depends on the age of the patient and the strength of the drugs. According to Hecht, men and women can be eligible, but costs are higher for women. According to Hecht, women first take drugs that stimulate their ovaries to produces eggs, then have those eggs harvested and frozen. A woman can also combine her eggs with sperm from her male partner to form embryos, which can be frozen then re-implanted after chemo is over. Hopwood-Brophy says she is glad this new program will call attention to the issue of fertility for young cancer patients, who might not yet be considering having children someday. Hundreds of students are spending this weekend dancing inside Penn State University’s Bryce Jordan Center, the culmination of a year-long, multi-million dollar fundraising effort. Susan Steel ignored a mole in 2005. The Chicago resident and mother of two said she put it off but eventually went to her dermatologist only when the mole began to bleed. The first visit confirmed she had melanoma and the growth needed to be surgically removed. “You go into surgery very quickly and then the surgeon comes out and looks desperate and tells you that you have less than a year to live,” she said. At that time there were no effective treatments, some options had a “high” 6 percent chance of survival, Steel says. A new study indicates that adding head and neck cancer screenings to lung cancer screenings could help with patient outcomes. Analysis conducted by the University of Pittsburgh Cancer Institute (UPCI) and UPMC Cancer Center shows that head and neck cancer screenings given at the same time as a lung cancer screening may help detect early stages of cancer and with treatment, lead to higher survival rates. Dr.
Allegheny Health Network has announced a multi-year collaboration with Baltimore-based Johns Hopkins Medicine. This is in addition to a partnership announced earlier this year between the two institution’s cancer centers. This collaboration will, among other things, explore ways to be more economically efficient. The cost of hiring an interpreter or sign language specialist to communicate with hospital patients can reach up to $70 per hour, but suburban Pittsburgh hospital might have found a cheaper and more effective alternative. Forbes Hospital in Monroeville recently starting utilizing iPad-based software called “Language You See,” which provides interpretational and sign language services at the touch of a button.